So, you'd think it'd please? About a plant that can heal. All for the love of you!" She loves me... she loves me not... she loves me... she loves me not. Refers to the leaves of the Dandelion plant, which are considered a weed in the United States, but are actually one of the most vitamin rich foods available. Mature leaves have a very bitter taste, but younger leaves are milder. They are an excellent salad ingredient and are often cooked as a side dish. The leaves should be washed thoroughly and dried before using. oGeneral: Before lawns became fashionable, this widespread and robust plant was carefully cultivated in Europe for its edibility, and was brought over by settlers into North America. Dandelion has a fleshy taproot and milky juice. oLeaves: The deeply toothed leaves grow in a rosette directly from the root crown. The terminal lobe of each leaf tends to be larger than the lower lobes. oFlowers: A single cheery-yellow flower head, 2 to 5 cm in diameter, grows on a hollow leafless stalk. The flower heads consist of many ray flowers, surrounded by 2 rows of floral bracts, which are bent backwards (a helpful distinguishing characteristic). oFruit: When mature, each seed has its own white parachute or pappus of long hair-like bristles. These form into a neat white ball, easily blown apart by the wind or your own breath. An individual flower head produces up to 200 seeds, and each plant up to 5000 seeds. 1.Find an area that will not be mowed until the majority of dandelion blooming is past and seeds have formed. Select a flat area away from buildings and mark with small sticks a one by one metre patch of dandelions. Full bloom: Record the date when many flowers are open and the first plant has opened a seed head. Many Taraxacum species make healthy seeds without normal fertilization, and the resulting offspring are then identical to the parents. This process is called "apomixis". In apomictic species, fertile pollen is lacking. The seedheads attract seed-eating birds such as finches and pine siskins and small mammals such as mice and chipmunks. Flower heads are "ice-cream food" for black and grizzly bears. The flower heads are sensitive to light, and open in the early morning. 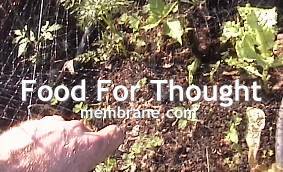 Young dandelion leaves make a good vegetable green, either cooked or in salads. The roots can be ground as a coffee substitute. Wine can be made from the flowers. Dandelions are rich in vitamins and minerals. The species name "officinale" is a word of early English usage meaning medicinal, and various parts of the plant have been used for their healing properties. A leaf decoction can be drunk to "purify the blood," for the treatment of anemia, jaundice, and also for nervousness. The milky latex can be used as a mosquito repellent. The leaf has proven diuretic (hence the French name "pissenlit" meaning "pee in bed") and also bile-production-stimulating activities. Also, a dye can be obtained from the roots of the plant. The plant is readily eaten by livestock. Dandelion leaves are considered by Health Canada to be safe to eat, and dandelion root is already marketed as a registered diuretic drug in Canada. Much of the plant is imported from the United States, which seems unnecessary; dandelion is common and could easily be cultivated in Canada. There are commercial products containing dandelion root roasted and used as a coffee substitute and there is some demand for the young leaves and flowers in gourmet salad mixtures. "Pet dogs get cancer from weed killers"
Brown, A. 1970. Old Man's Garden. Gray's Publishing Ltd., Sidney, British Columbia. Clark, L.J. 1976. Wild flowers of the Pacific Northwest. Ed. by J. Trelawny. Gray's Publishing Ltd., Sidney, British Columbia. Marles, Robin J. et al. 2000. Aboriginal plant use in Canada's Northwest Boreal Forest. Natural Resources Canada. UBC Press. Vancouver. Ward-Harris, J. 1983. More than meets the eye - the life and lore of western wildflowers. Oxford University Press, Toronto.